To avoid spending too much time on the topic, Hidden-City ticketing is buying a ticket between two points but only intending to fly someplace along the route. The purpose of Hidden-City or Skiplagging is for consumers to save money over more expensive nonstop options. I’ll borrow the same example Matthew found this week though there are nearly infinite options. United sells Los Angeles to Chicago O’Hare at a premium ($171 one-way) while they will sell a longer route (LAX-ORD-MCO) for less ($121 one-way) even though it is cheaper in order to compete with direct routes and undercut the competition. Hidden-City consumers are buying a ticket from an origin to a destination (Los Angeles to Orland0) and not the route Los Angeles – Chicago – Orlando). If there is a delay or mechanical problem with the aircraft, United’s duty is to get you to Orlando and may do that via Houston if they like. While you can insist on a connection in Chicago, it’s not guaranteed. You also may not check your luggage as they will arrive in your final destination (with the exception of international arrivals into the US). Also, logging into your frequent flyer account can link your activity to your miles and status and make you a target for the loss of those assets as Hidden-City ticketing violates the terms. “Fares apply for travel only between the points for which they are published. Tickets may not be purchased and used at fare(s) from an initial departure point on the Ticket which is before the Passenger’s actual point of origin of travel, or to a more distant point(s) than the Passenger’s actual destination being traveled even when the purchase and use of such Tickets would produce a lower fare. This practice is known as “Hidden Cities Ticketing” or “Point Beyond Ticketing” and is prohibited by UA. Any practice that United believes, in its sole discretion, is exploitative, abusive or that manipulates/bypasses/overrides United’s fare and ticket rules. They also indicate just what they can do if one is found to participate in such ticketing at their “sole discretion” and my favorite part “may include, but not limited to”means the following will probably happen but literally anything else can as well. So, there you have it. They can do it and they told you they may or may not – the fact that they have is immaterial. Number (5) in Article K clearly states that they can assess the passenger the difference between the cheapest fare between what they actually flew and what they ticketed which may be cheaper. Charging Someone For Not Using Something They Bought? Let’s play my favorite game ever, the analogy game. Airfare is an elective purchase like any other. If I buy something and decide not to finish it, what damage have I caused the vendor? If I buy a whole pizza, take one bite out of it and throw the rest away, is that no longer my right? If I buy a ticket to a movie, do I have to finish it? I can think of plenty of examples in which a unit price is justifiably sold for more than a bulk price like a can of Coke for $.30 as part of a 12-pack instead of $5 inside of a stadium. But I can’t recall an example of a single can sold for more than a 12-pack inside of the same grocery store. One example I can recall is a buffet that would charge one rate for unlimited access to their food but would weigh and charge for food left on the plate to reduce waste. But that seems like a stretch. Airline pricing doesn’t make sense to most of the world because it only truly works for a very limited marketplace. On a route like Boston to San Francisco, the cheapest flight should be the direct route with the lowest cost to the airline. An out-of-the-way connection in Dallas which burns more fuel, more snacks and beverages, more staff to run them, more landing and runways costs, and on and on it should be a more expensive flight. but of course, it is usually cheaper for the customer as they try to incentivize consumers away from their premium direct flights or their competition. Just because that makes sense for carriers, why should the rest of the world pretend that the Emperor is wearing clothes? He’s not – he’s naked as a Jaybird. If United wants to pretend that their pricing is fair and makes sense, fine, but maybe consumers should also pretend that they are buying last minute tickets to cheap destinations and just got lost in the airport and missed their connection. The reality is that United (and others) charge excessive amounts for last minute nonstop flights, but will be happy to sell consumers that same seat and another on a less full flight for less money. I won’t pretend that it makes sense. It doesn’t. It’s fair to assume that words written in a contract and agreed by both parties (either implicitly or implied) would hold weight and are enforceable. That’s just not the case, however. Plenty of companies put best case scenario terms and conditions in their contracts knowing they may be tested or unable to hold the other party to the commitment. Non-compete agreements are common cases of unenforceable legal documentation. In Matthew’s post this week on the topic, he points the failed lawsuit by United against Skiplagged.com, a booking engine that specializes in Hidden-City itineraries. 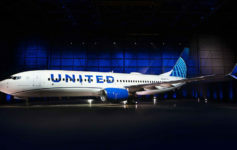 United’s lawsuit was thrown out but a reader identified that it was tossed not based on the merit of their claim but where they chose to bring suit (venue). However, had United felt they had a legitimate case against Skiplagged.com, they probably would have refiled their lawsuit in a new venue. They have not and it has been several years since they brought the original complaint. It’s clear to me, and if their actions are any indication, it’s clear to United that they really can’t do anything about their customers using a portion but not all of their tickets to circumvent arbitrarily higher prices. Matthew wrote his thoughts about the matter first covered by No Mas Coach last week. In his statements, he mentioned that he would never buy hidden-city tickets on United because he wouldn’t want to chance his million-miler status. That’s an area where the carrier can actually do damage. The courts have already ruled (many times in fact) that the airlines can do anything they want with their mileage programs, even things that would be illegal for other businesses. They have 100% total control and can choose to ex-communicate members at will. The unnamed accused in the original post would no doubt lose their Mileage Plus miles, status, and could be banned (by using their IDs and names) from ever flying the airline again. It’s not a public utility, it’s a company and they can choose to exclude customers as they see fit. So why take the unenforceable route of hollow threats against the consumer? Why not just send a letter telling them why they no longer have miles, status, nor are welcome on your aircraft? It seems to me to be a rogue specialist tasked with determining just such offenders seeing how far they could take the issue and return a real result for their employer. Regardless, they have proven, easy manners by which to damage the customer (miles) or prohibit them from abusing the airline further (barring future travel), why try to extend that to collection agencies? What do you think? Does the alleged offender owe United anything? Is this a case of a single employee overstepping bounds or is it reflective of the carrier’s overall approach to customers regarding this matter? They don’t owe United anything. To me it’s malicious prosecution to threaten them legally. Also to harm a person’s credit score through collections. Even if all that was legit even United themselves on most flights, regardless of route or segment, make an announcement prior to leaving the gate advising you to deplane if you changed your mind about flying that day. They do ask that all the time, there is no penalty if you cancel the last segment of your trip, I think it’s more when they are calling your name over the speaker expecting you to be there. They stole from the company. If you have a high moral compass, you’d also agree. Should a father and son who share the same name be allowed to share a mileage account? If you steal from a department store but return the item after you got caught, should they not procecute you? Well, the analogy you have given wouldn’t really work though. If the department store charge $150 for a pair of jeans, or $100 for a pair of jeans and a t-shirt and you bought the pair and gave them the t-shirt back and they wanted to charge you the higher rate for just the jeans, then it would work – but that’s not stealing at all though it is also not purchasing the ticket with the intent of using it as sold. Yeah, a bunch of us did exactly that a few years back with a Best Buy promo that offered $700 off a LCD tv if you bought a DirectTV subscription and a bunch of AV gear. We canceled the DirectTV subscription the next day and returned the gear, keeping the discount on the TV. Only difference was, there was nothing in BB’s policies to prohibit such. At airport we caught a son using the father’s FF with highest status. We reported it to our fraud department. Account was probably closed and miles forfeited. It’s a fraud, aka theft. The author of the article seems to think frauds are ok. Well, he can drive next time. The issue I take with Kyles post is that he’s falling into the trap so many before him have in thinking that just because something costs the provider/owner/maker less to provide than something else that it should then be made available for less to the consumer. But there in lies the beauty of free market capitalism… the market sets the price for airfare, not the other way around. Kyle can use all of the analogies he wants about partially using something but the problem is that a customer is buying a ticket from point A to point C. The market sets the price for that route. The customer did not buy flights from point A to B then B to C even though that was the routing that the airline offered. Direct flights cost more because they’re in higher demand than those with connections typically and it’s also well within the airlines right to re-route customers on different flights so long as they’re still able to reach their final destination in the same amount of time. All that being said, I agree that UA or its agent was off base in threatening collections or demanding payment. They simply should’ve frozen or cancelled the MP account no questions asked. Fool them once, same on them. Fool them 38 times that’s a pattern of fraud and there should be consequences. Well from a consumer perspective, I’d much rather get a threatening letter than have my miles frozen or seized. It’s been ~6 months and neither party has made a move so I think this is much ado about nothing. The Sword of Damocles is a great deterrent. The market does all of the things Bob says it does. The market is also free to, and rightly does, decide to use things in whatever ways it sees fit. Airlines create games, a few people play them. Airlines have complete control over the rules of those games if they aren’t happy with the outcome. United’s position here is trying to have their cake and eat it too. Bob…the market isn’t setting the price. The CONSUMER is part of the market. And buying extra and using less was his choice. Your “market sets the price” would be if he simply decided he wasn’t going to pay what they asked. He did. He can then use all of them or not. They can refuse and ban him once they find out. But they would never win in court in a million years. Everyone needs to calm down here, most specifically United but also everyone having a massive argument about it. The current balance of risks/downsides of skiplagging are a sufficient equilibrium – they make the two tickets sufficiently different to justify a price difference. You can almost think of it as a new type of Economy minus. I like that approach (economy minus). what if I fly UA and credit it to Turkish? What can UA do to me except banning me from UA. I guess they cannot reach out to TK to ruin miles (not from UA) from TK? I assume you would be safe in that circumstance. How do u explain charging for a one way sometime more then a round trip, and will the same analogy go for flying just one way and skipping the return ? Maybe you would prefer the counter-argument: http://bit.ly/2J7zReK. Then again, maybe you wouldn’t. That’s easy – because there are enough people out there who get sufficiently “scurred” as we say here in Texas by such letters that they’ll send a check, resulting in easy money for the airline. So why not threaten and see if it works? Worst case, the customer writes you back telling you to FOAD, and you’re back at the same spot you would have been anyway. When you buy a ticket, you’re buying transportation from point A to point B. That’s how flights are priced– not PDX-SFO-SAN but rather PDX-SAN. The price you pay little to no relationship with the sequence of flights that take you from point A to point B — it’s all about the O&D. No, it’s not intuitive, and doesn’t lend itself to clever analogies, but that’s how it works. Buying a ticket but hopping off at a layover is stealing, plain and simple, regardless of whether or not you’re saving money. If I decide half was through to stay in any one of the many 100 stops in between then that’s my choice…they cannot hold me hostage until I get to the west coast. It makes no sense that going from east coast to west coast would be cheaper then going from east coast to Midwest or something anyhow…especially since it’s on the freaking way…. No it isn’t. I bought the ticket. Whether or not I choose to use it is my decision. Stop being an industry stooge. Nobody’s impressed. You bought your ticket to get from point a to point b, if you don’t want to go to point b the airline can’t force you, but don’t expect the airline to take you to point c when that wasn’t what you bought. They aren’t going after people who had one off scenarios or extenuating circumstance, they are going after people who habitually expect the company to take them to somewhere they didn’t pay to go. Bob…And they have ZERO actual legal recourse other than banning him. They would not win a case. Other than their own punishments of banning him from the airlines, or taking away miles or whatever, they can’t do anything about it. United’s policies are clear and the consumer mutually agrees at the time of purchase. Personally, I wouldn’t have taken the threatening tact to confront the problem and create the media feeding frenzy. The airlines are observing the pattern of behavior, so the next time the passenger books a flight, simply reroute them to Orlando via Houston when they show up at the airport. nah not true… in the special requests box i tell them I don’t agree to their terms and insert my own. When they still let me fly, safe to assume they have accepted my counter offer. Well ,well ,well,I’ve enjoyed this article as it’s about time U A got skunked. With the advent of “economy plus” seating and flight change fees increased baggage fees and charging more for flights with stops than direct during different times of the day, now not allowing “regular economy” to use the overhead carry on bins. When will they stop abusing the passengers. They want to squeeze every dollar out of you ,then get “offended and threatening ” when “customers ” want to finagle a cheaper flight. SHAME ON THEM! When I buy a ticket, I buy not only the start to finish locations but the also the routing. So if the airlines want to play games with prices, I will play the game and get to where I want to go the cheapest way possible. If I don’t use a portion of the ticket, the airline still was paid for that portion, so I didn’t steal anything. In fact, the airline will probably fill that seat with another paying passenger so it gets paid twice. I’d love to hear from United as to why a one-way ticket from Chicago to London is $3,000 while a round trip ticket using the same outbound flight is $1000 isn’t exploitative and abusive on their part. If they don’t want people practicing throwaway ticketing, maybe they should charge customers fairly. Of course they are going to lose business to low-cost carriers like Norwegian, where a round-trip is the same as combining two one-way tickets. But instead of making their prices fair, they instead go to the US government trying to block Norwegian from the US because Norwegian is “unfair” to them. Imagine if a store sold a gallon of milk for $3 and a half gallon for $9. Then they tell you you’re not allowed to only drink half the whole gallon because it’s “unfair” to them. Sorry United, but I’ll still with Norwegian. Doesn’t UA regularly put stand by flyers into empty seats? It seems they can get paid twice for the same seat. Those standby passengers are just moving from another flight (either previously missed connection or from a later flight), so they really aren’t selling the seat twice. I’m with United for the million reasons that the writer of this article just refuses to understand. But you didn’t buy that did you? If you buy LAX – EWR via IAH you bought a ticket to EWR not IAH. The airlines in the US have gotten away with business practices, that in any other industry would be illegal, for far to long. Refusing to pay pilots and flight crews for countless hours they are required to work, at many times performing tasks that are critical to the safety of flight operations. Their convoluted pricing schemes are just another example. If someone finds a way to get around their attempts to charge to much for a flight, more power to them. The airlines in the US treat their customers like garbage while lining their own pockets. Any claim that the airlines are failing to make a profit are just examples of how they are cooking the books to justify their increasing fees and abuse of their paying customers. You talk about flying as if it is an unnecessary luxury, tell that to someone who has a suddenly critically ill family member a thousand miles away. If we had any true morals in this country, we would look at air travel as critical service and treat the hard working men and women on the front lines that provide for that need by getting us there safely. We should also expect the airlines to look after their passengers comfort instead of charging for every thing that, in this country, makes flying barely livable. I am 6’5″ tall, is that my fault? Does that mean I should have to bleed through the nose to have a seat where I will not spend hours with my knees buried in the plastic seat in front of me? Do you not think that treating your customers better will not make your employees jobs easier? I am sure that they do not enjoy bearing the brunt of the massive amount of anger and frustration that stems from the airlines greed. There are countless other airlines around that treat their customers and employees like real human beings, I don’t know why we can’t do the same here. If there is no disruption at the gate, I don’t think an airline looses any real money (only the potential money they could have made). The honorable way to do this is to notify the airline you won’t be getting on so it does not hold up the flight. I’d like to know if there is harm to the airline when someone does this. Given that short, expensive tickets for high demand routes help offset the expenses of other travel use cases (e.g. long hauls, leisure destinations, weekend stays, etc. ), I’d be careful about arguing that one can have their proverbial cake and eat it too. It takes a special kind of narcissist to embrace the big picture business model while simultaneously exercising an attitude of entitlement to break the rules that help make many low fares feasible. Why should I have to subsidize people who get the lower cost fairs like you described? As much as millennials and many new members of the government want it to be, this country is not, and never will be socialist. If I buy a non-stop ticket from A to B, and for whatever reason the airline has to re-route me with a stop in C, do they issue a partial refund? I wonder how big of a problem this actually is for United, and whether it even makes a dent in their bottom line. By bringing attention to it, it’s at best going to leave a bad taste in the mouths of people who otherwise like United, and at worse is going to encourage people to try it out a couple of times for themselves. I got my inspiration to use hidden cities because of the news that United tried to sue a 16 year old. I otherwise wouldn’t have figured it out. Someone who has flown enough to do this 38 times is probably making United some good money, so it may be better for them to turn a blind eye. And hidden cities only work when your destination is a United hub, so he may actually be flying to non-hub cities too. This is literally the opposite of this case. This would be like if McDonalds charged more for a hamburger than it did a cheeseburger and then tried to sue customers for buying the cheeseburger and taking the cheese slice off. They wouldn’t win in court just as United would never win.